The New York Latino Research and Resources Network (NYLARNet) was created to bring together the combined expertise of U.S. Latino Studies scholars and other professionals across three research institutions within New York State in four target areas: Health, Education, Immigration and Politics. This network is constituted by recognized scholars and other professionals who are engaged in critical thinking, dialogue, and the dissemination of information on U.S. Latino issues. NYLARNet addresses a broad spectrum of concerns related to the four target areas mentioned above, and provides information services to legislators, public agencies, community organizations, and the media on U.S. Latino affairs. 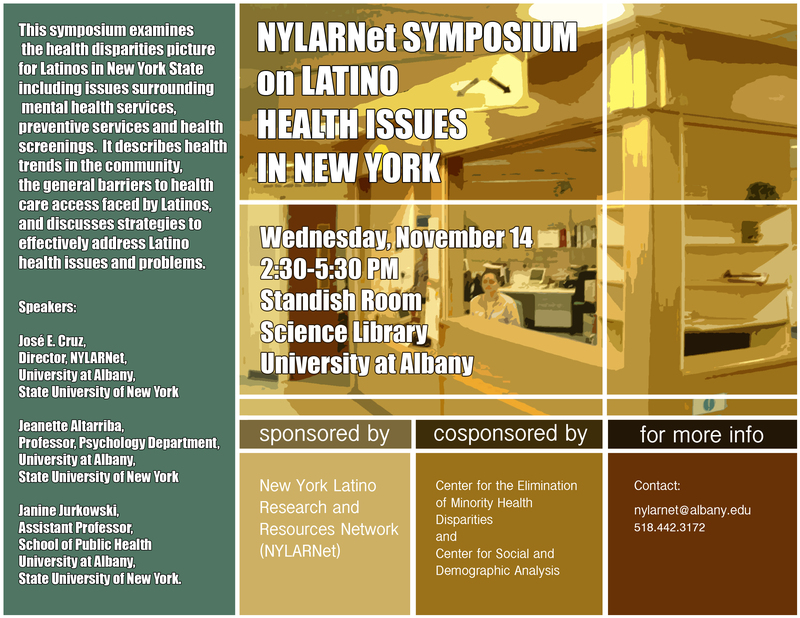 NYLARNet also pays special attention to the realities and needs of the largely neglected Latino populations throughout New York State and outside of New York City.